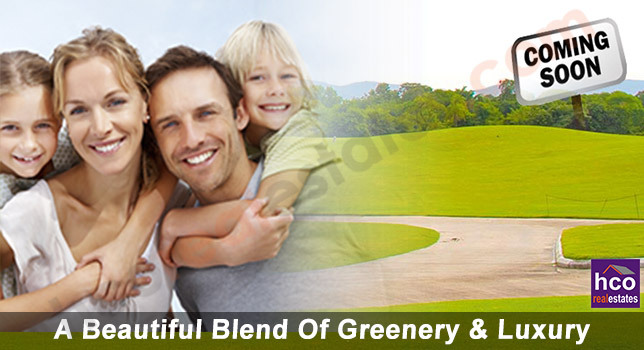 Godrej Villas Sector 27 Greater Noida Near Pari Chowk. 2300 - 6168 Sq. Ft. Greater Noida is really the city of new opportunities, mainly when it comes to investing in a residential property that makes a perfect choice. While Delhi NCR is cramped with high rise towers, Godrej Villas in Greater Noida Sector 27 offers a refreshing change with low rise construction and green landscaped on 100 acres of land. Located nearby Pari Chowk it is expected to be the next ‘Preferred Destination’ of this growing city. Godrej Villas Greater Noida offers luxurious independent villas on the plot sizes of 100, 125, 220 and 300 sq yards within a beautifully master planned community featuring a grand club house, sports facilities, gymnasium, round the clock security and other amenities. What’s more, the region in between Noida - Greater Noida Expressway and Yamuna Expressway is now becoming the main hub for a range of other big residential development and townships, making this region the next growth corridor. This residential project is not one of those distant dreams when it comes to reasonability or availability. It is being planned as a compatible community particularly for the end users who are quality conscious and at the same time very smart to grab a smart investment opportunity when they notice it. The panoramic location of Sector 27 transports you back to the Greater Noida of the yesteryears, known for its greenery and acres of farm lands. Designed with several features like Himalayan mountain structure Golf Course, Golf Academy and Commercial Street with fine dine options. These independent villas offer the best possible luxury that Godrej Properties know for. The lush green landscape is the best place to spend your quality time with your loved ones and rest of the community. Very much away from the irritations of noise, pollution, and traffic jam, Godrej Villas Greater Noida Sector 27 is conveniently close to the Knowledge Parks, big companies like Yamaha, Maruti, Holland Tractor and Moser Baer etc., besides leading Hospitals and International schools. Godrej Properties Upcoming project in Greater Noida offers you not just the dream home, but also a close-knit secure gated community of like-minded people.